Meet the three new recruits! We've got some Wednesday night entertainment for you! 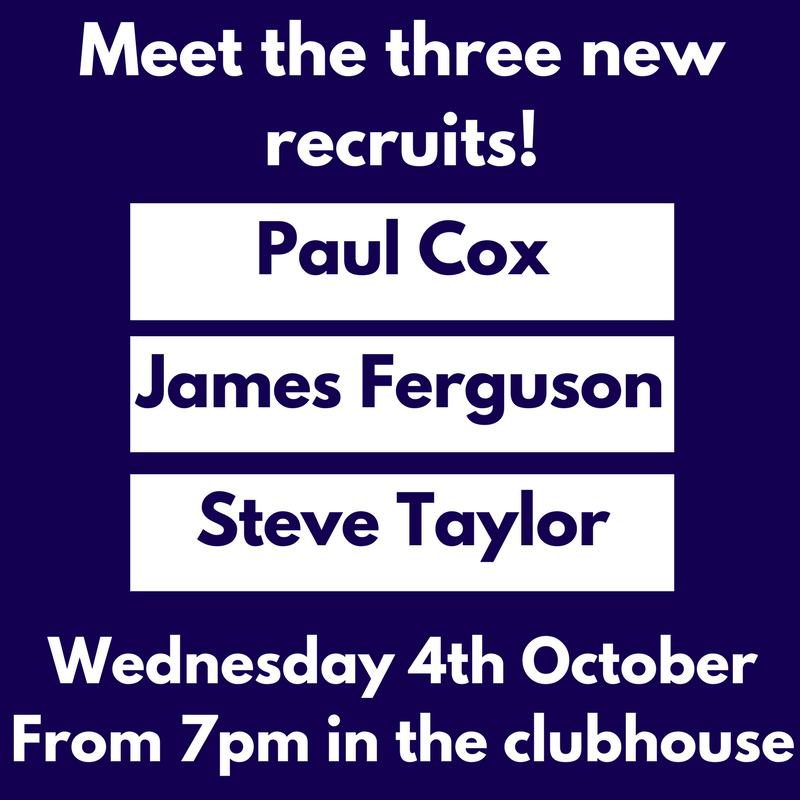 Come along from 7pm in the clubhouse and ask your questions to the new Manager, Chairman and Community Foundation Manager.